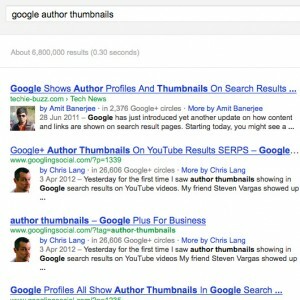 Google’s recent push to highlight content creators in search results is a great idea (I think). It really adds some ‘pazazz’ to your Google listing and watch-this-space, it’s going to be huge! (when all of us web peeps get off our arses and work out how to implement it). I’ve recently got my head around this fantastic new Google feature, so rather than reinvent the wheel; I found that old mate Joost de Valk has written a couple of great articles you should check out… “rel=”author” and rel=”me” in WP and other platforms” and “Highlighting WordPress authors in search“. where do you take inspiration to write so good articles? congratulations. I really respect your blog.. Good job on the web site design.